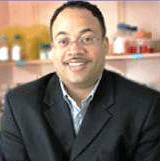 Dr. Brown has a very unique educational background, having earned his PhD in synthetic chemistry from University of Alabama at Birmingham in 1995, and his medical degree (M.D.) at the University of Virginia in 1999. Brown received postdoctoral training in the Department of Chemistry at the University of Virginia, and in 2000 became an assistant professor of chemistry in that department. In addition to his research and academic responsibilities at GeUMC, Dr. Milton Brown has established the Drug Discovery Program (DDP) at the Georgetown University Medical Center, which supports more than 20 investigators in drug discovery and development. In 2008, Brown was recognized as the inaugural Edwin H. Richard and Elisabeth Richard von Matsch Endowed Chair in Experimental Therapeutics at Georgetown. As chair, Dr. Brown continues to lead Georgetown Lombardi's thriving Drug Discovery Program in its mission to develop lifesaving diagnostics and therapeutics. Dr.Brown served as a member of both the Experimental Therapeutics and the Drug Discovery and Molecular Pharmacology study sections at NIH (2001-2006) and in the 2006 Breast Cancer Experimental Therapeutics study section at the Department of Defense (DOD). He also served for two years as an elected member of the medicinal chemistry long-range planning committee for the American Chemical Society. Dr. Browns research focuses on developing new drugs in the fields of cancer and neuroscience.